We are Making Disciples of the Cross from all Nations! 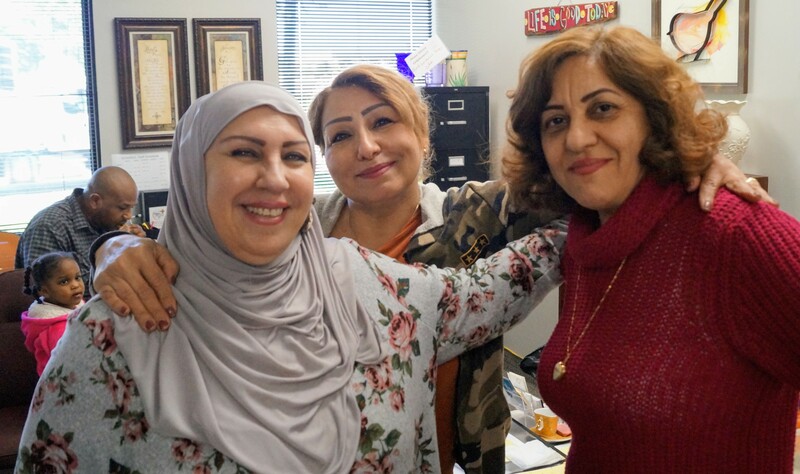 Over 35,000 refugees live in Vickery Meadows (Dallas). Disciples of the Way Ministries (DOW) exists to Reach, Teach, Live and Work among those from all nations, to raise up spiritual leaders from among them, and establish Christ-centered communities. Our programs and classes are outreach avenues for genuine friendships. We hope these friendships with each other will build trust so that we may earn the freedom to speak freely about the Love of God. So that our earthly friendships will become everlasting relationships in Jesus Christ. Many of DOW’s programs were created out of necessity. We saw a need in our neighborhood for services and skills that improve our neighbors’ physical situations. Compassion and service lead to relationships which become discipleship opportunities. God might be calling you to volunteer, assist, lead, or support our outreach ministries. Disciples of the Way ministries firmly believes that in order to make disciples, one must first build a genuine relationship with that person through compassion and service. Christians and Muslims follow God’s command to learn his word through reading the Bible (Torah, Writings, and Injil). 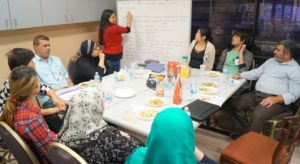 DOW offers free curriculum-based ESL classes for 5 levels of English (Basic, Beginner, Low-Intermediate, High-Intermediate, & Advanced) along with special Speaking classes. Service driven by compassion for people created in God’s image. 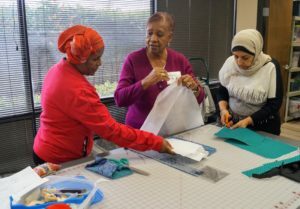 Disciples of the Way Staff and Volunteers seek to build Christ-centered relationships through Sewing classes. 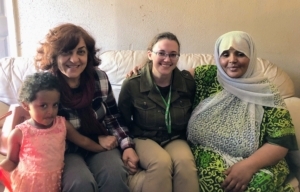 We love to visit our friends in their homes and pray with them for all the concerns of their hearts. 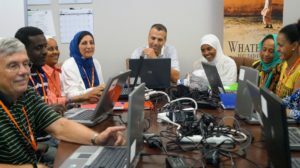 We offer 3 computer classes (beginner, Intermediate, Advanced) to help refugees advance in American society. 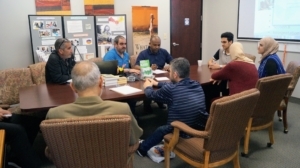 We offer Citizenship classes to enable our refugee neighbors to fully adopt their new home. Disciples of the Way follows the God-given opportunities to give a reason for the hope that we have and to shine the Light of Jesus Christ into the lives of those we serve. Disciples of the Way is a ministry to people of all nations from people of all nations. Some of us can go. Some of us can give. But all of us can pray.